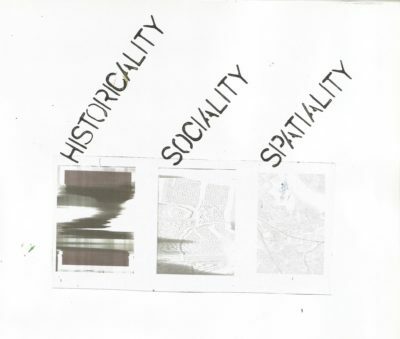 The essay ‘Placing Identity’ questions the contemporary status quo encountered in the landscape architectural profession. It opens a discussion about the interrelationship between identity, the designer and the landscape and its importance as a vital connection within the landscape architectural process. 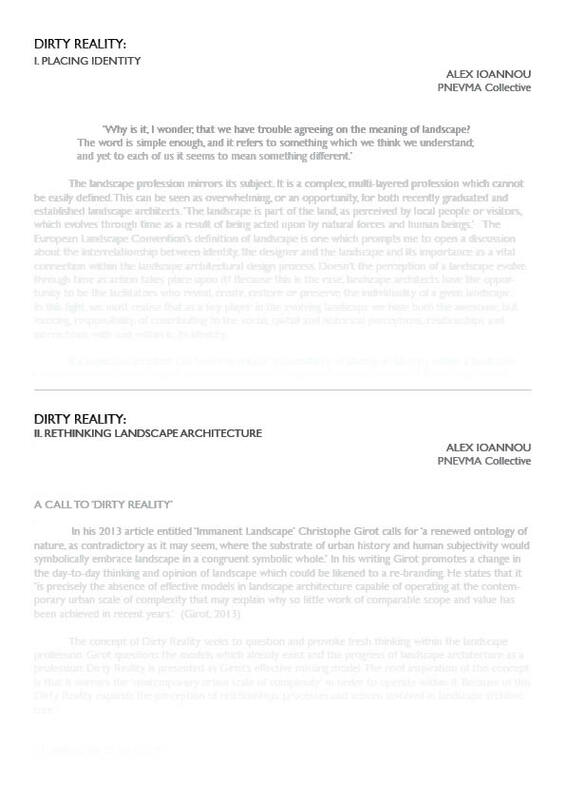 ‘Dirty Reality’ presents a new model which would expand the relationshs, processes and actions involved in landscape architecture. It is a model which would enable the profession to truly mirror, operate and develop, within the complexities of the contemporary world.